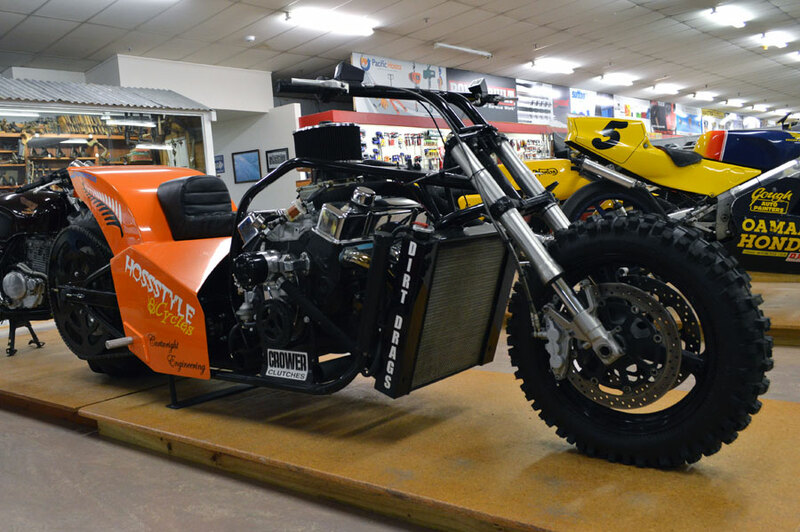 The latest Hossstyle V8 Dirt Drag bike has just roared into our store - and it's a real earthshaker! 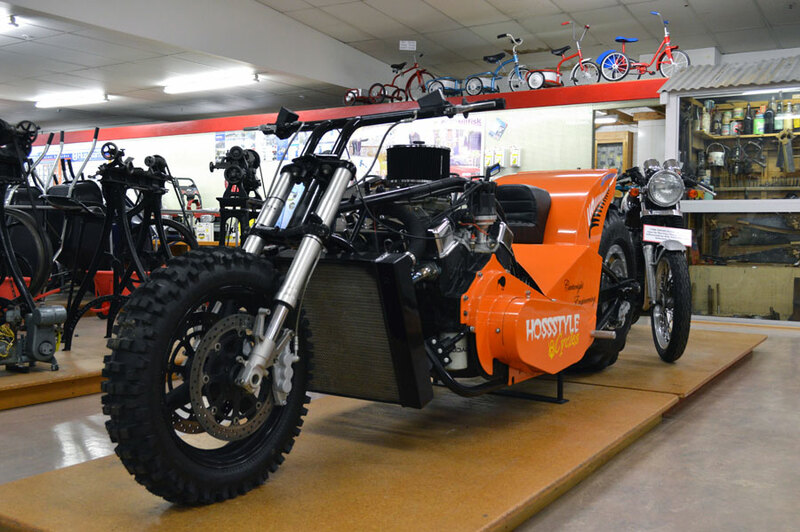 Take a close look at the latest Hossstyle V8 Dirt Drag bike now on display in our store, and you'll soon get an idea on how to shift a tonne of topsoil in about 2 seconds flat!! Built locally by Brian Cartwright of Cartwright Engineering, this fearsome beast packs a 327 cu in. small block Chevrolet power plant and is available to buy for a mere $28,500. 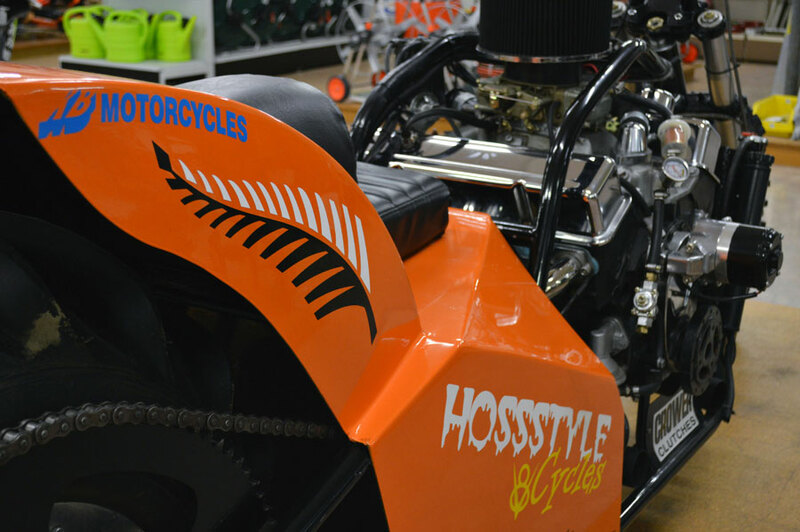 Dirt Drag Racing is set to become a regular event in Southland on a purpose built track at the home of Hoss Style Cycles in Lochiel. Watch www.facebook.com/hossstyleV8cycles for further details.